Formula H2O® is the exciting underwater sport which features scuba divers racing on diver propulsion vehicle’s (DPV). Specialized SCUBA training and competitive underwater events are created specifically for veterans who have been injured while serving in the United States armed forces. 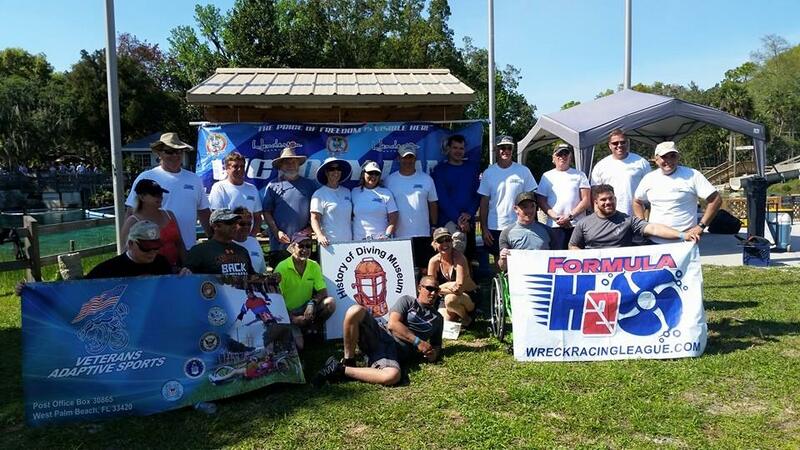 The Wreck Racing League supports Special Operations Bionic Warriors Inc. Your support will provide resources to assist in the rehabilitation of Wounded Warriors through our adaptive sports programs. Each year Special Operations Bionic Warriors Inc. continues to advance its mission and expand our programs which change the lives of Wounded Warriors and their families for the better. To make a donation, click here.